On May 24th to 29th, our tribe comes together at the pristine turquoise beaches of Tulum, Mexico. We unite to play, learn, celebrate life, and to go deeper into ourselves and our practice. Through yoga, meditation, workshops, adventures, and creating a Life by Design we ignite our passion and purpose so we can greater serve ourselves and others. Our connectedness is our currency.. and now is the time to connect. For 5 blissful days you get to explore our body, mind, and soul with conscious leaders and a supportive community. It is time to ALIGN with your path... YOU owe YOU! SELF LOVE is the greatest give you can give! Born to a family of musicians and raised in Southern California, Dray Gardner discovered yoga in 2006 when a doctor told him it was the only option if he wanted to heal himself from chronic back pain, a result of years of playing contact sports. It was on a cane that he walked into his first yoga class, and true to his nature, Gardner signed up for a 60-Day challenge. Yoga allowed his mind and body to have brand-new experiences, teaching him balance, discipline, focus, determination, strength, flexibility, and peace of mind through meditation. It was in learning the science behind yoga and how the practice supports every muscle, tendon, joint, and organ down to a cellular level, that truly hooked Gardner – leading him to what has become his life’s work and dharma. This form of movement has changed Gardner’s world on a personal, but most importantly, on a healthy mental level. Gardner realized at that very moment that life is truly about the choices you make that form your future of what we like to call “happiness.” He is now in a place in his life where he wants to help those around him find their inner peace. In 2007, Gardner attended his first teacher training so that he could share the gift that was given to him through the practice. Being an eternal student, he continued his quest for knowledge and personal growth by studying with Sri Dharma Mittra in 2011. It was there at the Dharma Center in New York, that Gardner’s commitment to yoga and living his truth was reaffirmed. Branden Collinsworth is an internationally renowned human performance coach and works exclusively with several of the most impactful people in sports, music, and business. He has been endorsed by brand giants, Lululemon, Redbull, Dr.Oz, MTV and is currently a Master Trainer for Nike. He is the creator of Real Results Fitness an award-winning chain of high-performance gyms in Las Vegas. In 2015 his Real Results Fitness won the Mind-Body Bold Business of the Year award over 45,000 gyms/yoga studios worldwide. Collinsworth also is a yoga teacher and did his teacher training under iconic yoga teacher Sri Dharma Mittra. Inspired by his travels, in fall 2016 he launched Warrior Retreats: An 8-day immersive retreat experience in the heart of Peru that is designed to help people step into their greatness and learn the importance of being a humanitarian. Branden holds a master’s degree in positive psychology from the University of Pennsylvania and is committed to creating a new global standard for health and wellness built on the fundamentals of mental, spiritual, and physical unity. PARADISE AWAITS... Amansala is set beachfront in the magical town of Tulum, Mexico. It is the ideal setting where you can relax and reconnect with yourself, surrounded by white sand, palm tress, and turquoise water. It is designed to feel like staying at your friend's beach house and provides the perfect place to bring a conscious community together. Wake up with the sunrise, grab a fresh coconut and take an early morning dip in the cooling water. Head to the open air studio, and enjoy your practice while the fresh ocean breeze blows through. Meals are served community style in the restaurant, giving you an opportunity to connect with one another. The property is like its own village, providing you with a comfortable home away from home. Accommodations are eco chic and rooms and spacious with attention to the little details throughout. The restaurant strives to serve the freshest local ingredients- fish, local produce and the tastiest mango margaritas in the Riviera Maya. It has a central location, with a 10 minute drive to town or a 20 minute bike ride. The Mayan ruins of Tulum and beautiful Cenotes are also short rides away. A town with warm starry nights and turquoise waters, Tulum is a picturesque paradise known for its beauty and charm. Located on the Yucatan Peninsula coast, a short distance from Cancun, it is filled with boutique hotels, amazing restaurants, and luckily is untouched by overwhelming development. One of the most important sites in Tulum is the Mayan Ruins, which is declared a World Heritage Site by UNESCO. This archeological site sits on the seashore and has powerful energy surrounding it. Tulum is also famous for its breath-taking Cenotes, which are natural sinkholes filled with fresh water. 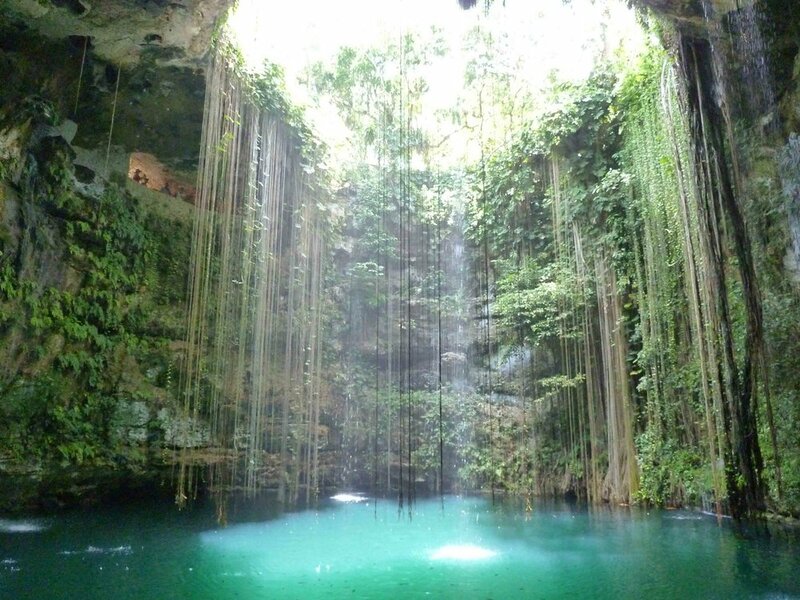 The Mayans considered Cenotes to be an entrance to their "underworld" where the gods and spirits resided. You can fly into Cancun Airport (CUN) and take a taxi or shuttle to Tulum. The drive is about 1.5 to 2 hours depending on traffic. We can assist you with booking all flights and airport transportation. We recommend arriving by mid-day on the 24th or arriving a day early if you want to explore the town and get settled in! Space is limited. Pricing is per person. so you can get what you’ve never had. By placing your deposit with us you are reserving a space on our retreat and agreeing to our policies stated in our AGREEMENT. Deposits are non-refundable. If cancellation takes place more than 75 days prior to your departure date than any payments made will be refunded minus your deposit. If cancellation takes place less than 75 days prior to your departure then 100% of your trip price will be forfeited. To cancel your retreat you must notify Revamp Retreats in writing at info@revampretreats.com. All prices are per person, and all deposits are non-refundable. Final payments are due 75 days prior to departure and will be charged to your card on file. Revamp Retreats reserves the right to make any changes deemed necessary to our retreats. In the rare case of cancellation on part of Revamp Retreats, we will offer you a transfer to another retreat or a full refund. We respect your privacy. Your information will not be shared with outside parties.